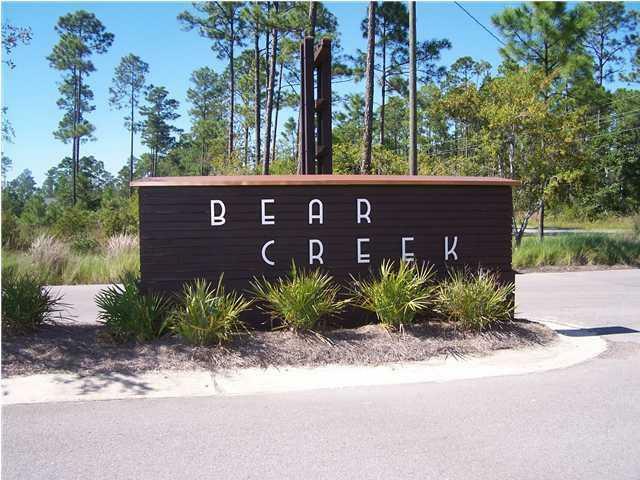 ''BEAR CREEK'' community has a design code of Old Florida Style Cottages. Close to the Bay and only a short drive to the beaches. This neighborhood is perfect and affordable for Full Time Residents. This community located off of Hwy 331 is convenient to 30-A, Destin and Panama City Beach.Hwy 331 will be a 4 lane soon also new Publix right up the road.